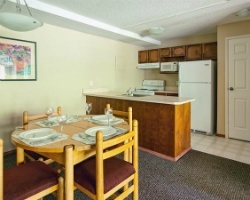 Located two hours southwest of Banff, Alberta, in the Kootenay region of British Columbia is *Panorama Vacation Retreat at Horsethief Lodge*. Most people think of Whistler in its earlier years when they visit this year-round ski and outdoor activity resort. The summer weeks are filled with festivities, and if you're not hiking, rafting, cycling or horseback riding, you can golf Greywolf - "BC's finest" golf course according to Golf Digest. The rugged surroundings soften with snow and create an absolutely perfect venue for winter fun. Downhill, cross-country and even heli-skiing are the daytime fun activities, while nightlife, dining or just soaking in the hot tub will take care of your evenings. 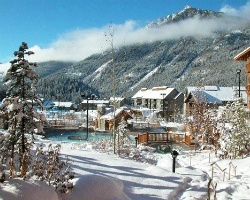 Year round destination located in the heart of the Canadian Rockies! RTU in perpetuity! Buyer may receive a title fee credit, inquire for details! Scenic mountain resort with stunning views! Week 40 every year! Buyer may receive a title fee credit, inquire for details! Come enjoy the many recreational activities in the area! Week 41! Buyer may receive a title fee credit, inquire for details! Sale includes two years worth of banked weeks! Buyer May Receive A Title Fee Credit, Inquire For Details! 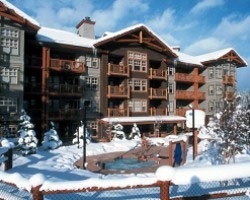 Enjoyable year round resort! Activities available for all 4 seasons! Buyer May Receive A Title Fee Credit, Inquire For Details! Annual week 26! Canada's best golf area per the Golf Digest! Buyer May Receive A Title Fee Credit, Inquire For Details! Scenic mountain resort with endless activities! Yearly floating week! Make your offer today! 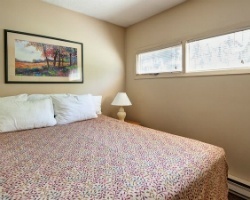 Resort is situated near Kootenay National park and purcell mountain range! Red week 12! Ski in/ ski out! Beautiful scenic mountain resort! Jacuzzi in this unit! Annual week 1 usage! RTU in perpetuity! Inquire for details! 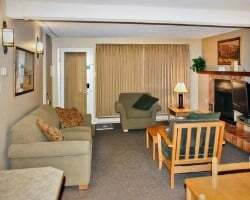 Beautiful mountain lodge offering lots of great amenities & activities! RTU in perpetuity! Buyer may receive a title fee credit, inquire for details! With RCI membership, week exchanges for 61,000 RCI points! All reasonable offers will be considered! Buyer may receive a title fee credit! New Year's week 52 usage! With RCI membership, week exchanges for 52,000 RCI points! Inquire for details! Scenic mountain resort for outdoor & sports lovers! Yearly in January week 1! Buyer receives complimentary closing credit. Bring Best Offers! Perfect ski resort! Enjoy downhill and cross-country onsite! Week 1! Buyer may receive a title fee credit, inquire for details! Enjoy week 13 every year! Buyer may receive a title fee credit, inquire for details!